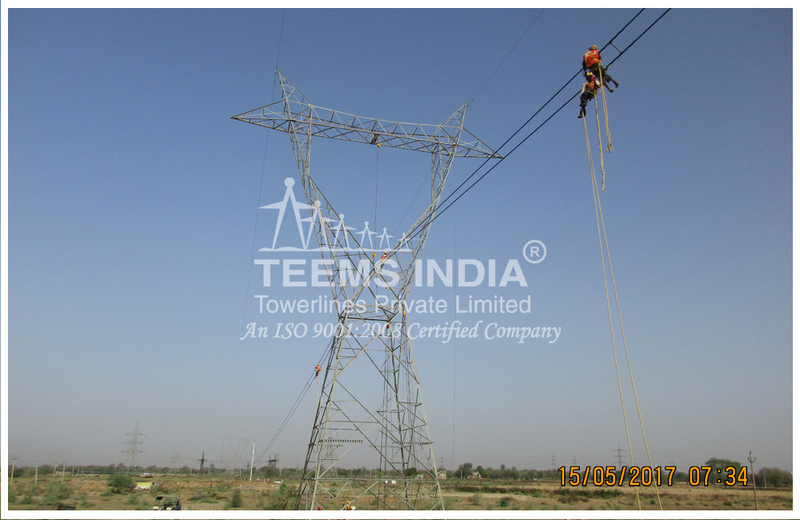 With over 35 years of experience in Transmission Line Construction, Teems India has the resources and expertise to offer turnkey solutions for Construction of Transmission Lines from 66 kv to 765 kv. 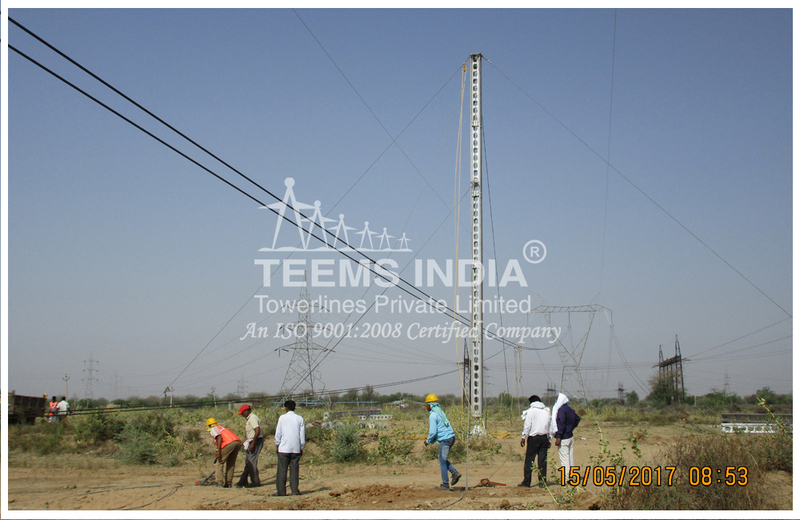 Teems India is specialized in providing end to end geo-spatial solutions for organizations in different fields, using Geographic Information Systems (GIS), Remote Sensing, Surveying, CAD, GPS Technology for managing spatial phenomena & process and development, with its talented team of professionals. 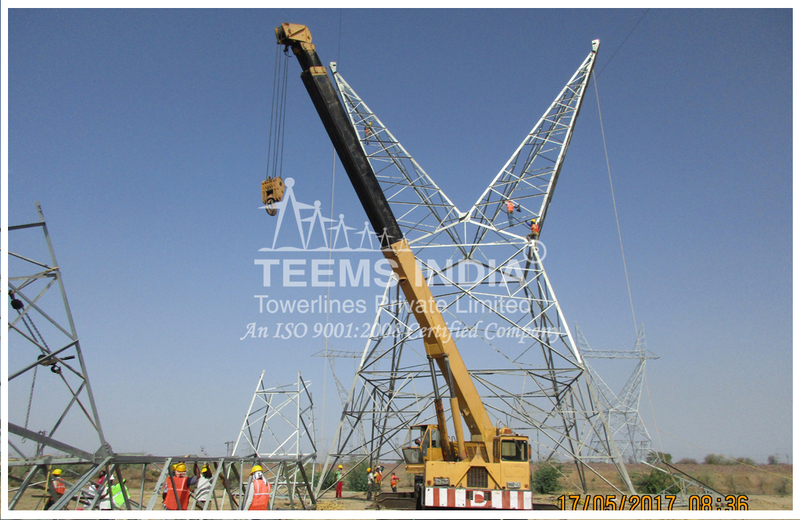 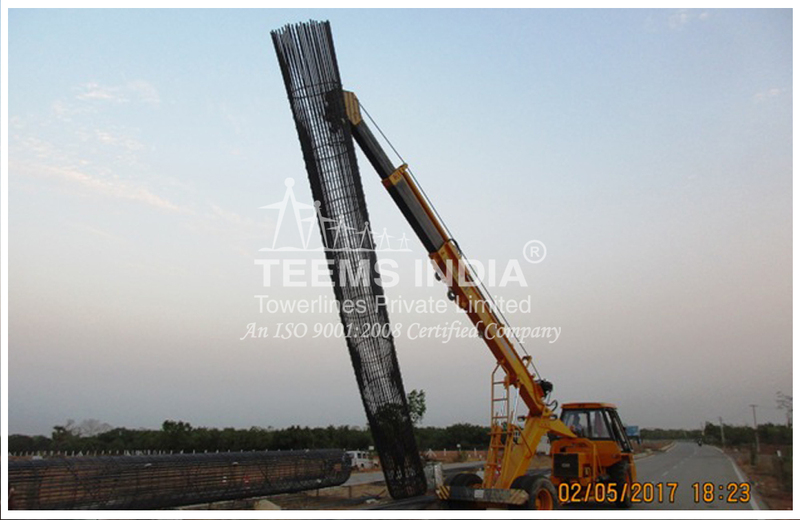 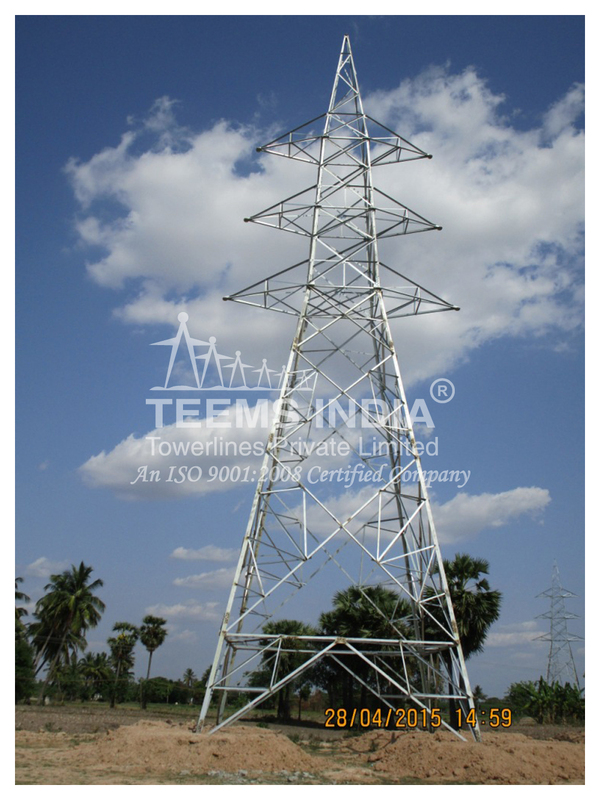 Teems India has a Lattice Tower Manufacturing Facility in Chennai, India which is an ISO 9001:2008 certified unit with an installed Capacity of 7200 MT/Annum and supplied Transmission Line/Substation structures to State Power Utilities, Independent Power Producers and Captive generation units. 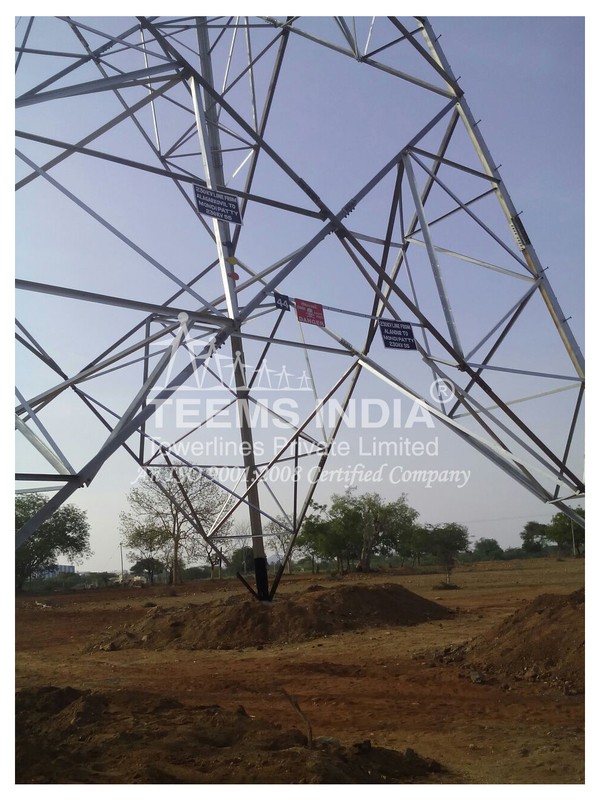 Turkey Construction in LILO of one circuit of 400 KV DC line on DC Tower with Twin Moose conductor from Thappagundu to Anaikadavu400 KV DC line at Udumalpet (Myvadi)400KV substation, Falling in wind zone-2 including cost of all materials under turkey contract (Tapping location: Between Loc.119 and 120 0f 400 KV DC Thappagundu – Anaikadavu line). 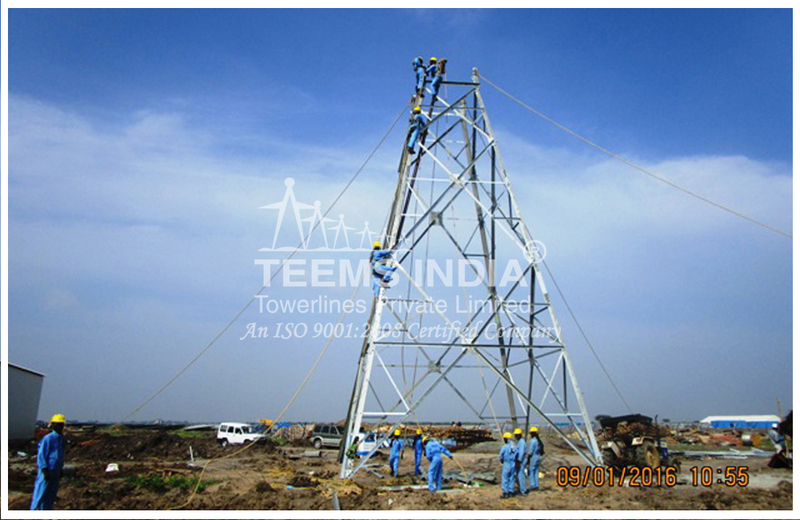 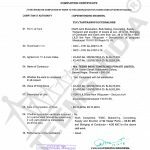 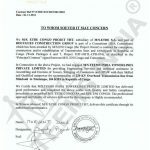 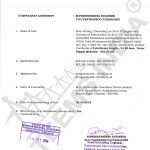 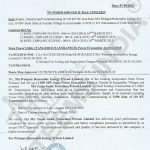 Transmission Line Package TW04 for Assam associated with NER Power System Improvement Project (Intra State: Assam) for132 kV S/C (on D/C tower) Dhemaji – Silapathar. 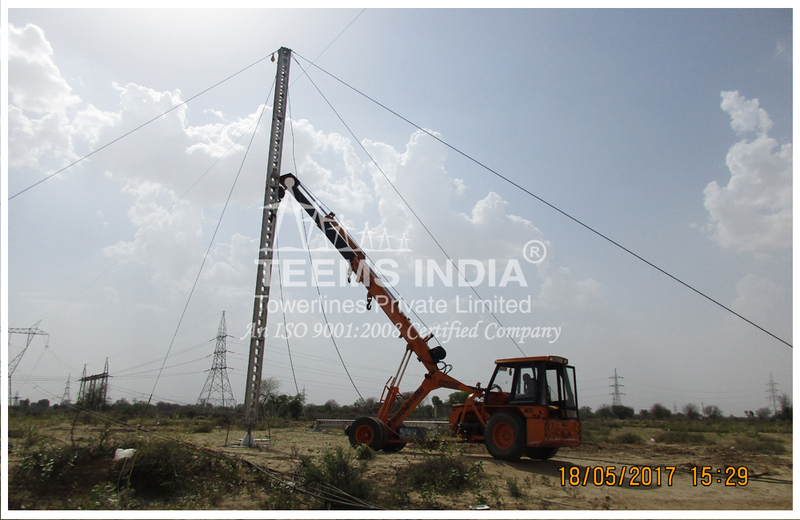 Diversion Work of 400kV Transmission Lines in NR-I (Supply & Service Work). 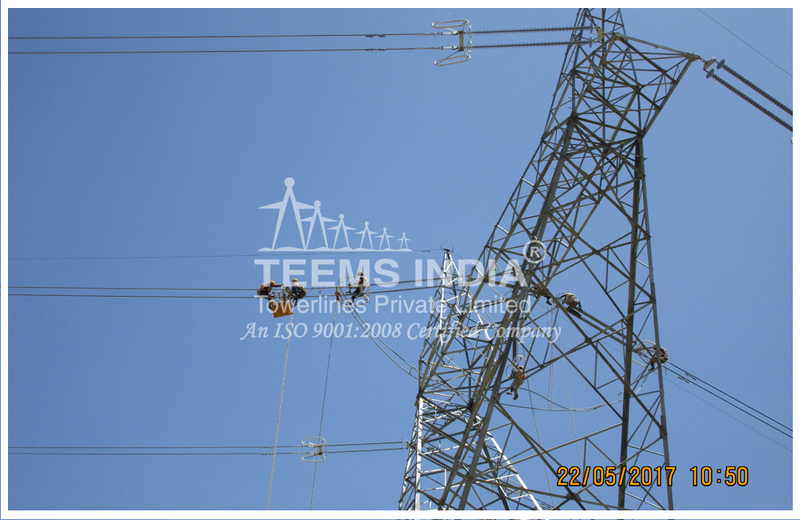 Diversion Work of 765kV and 400kv Transmission Lines at Agra and Kanpur (Service Work). 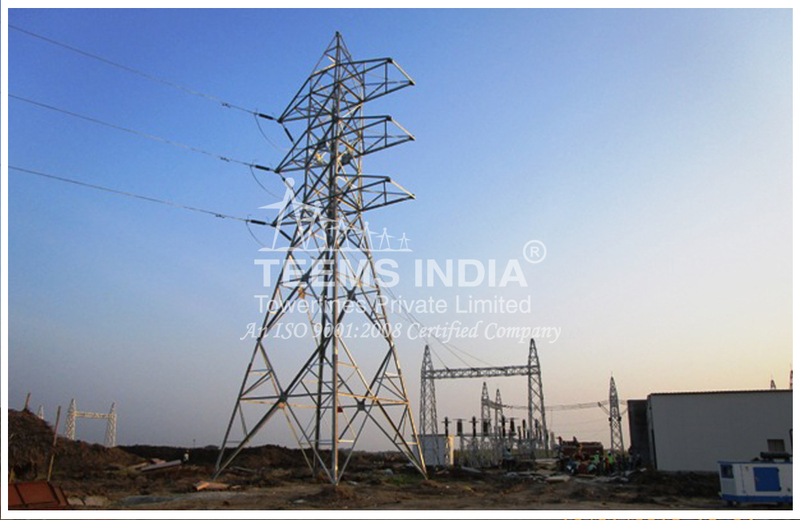 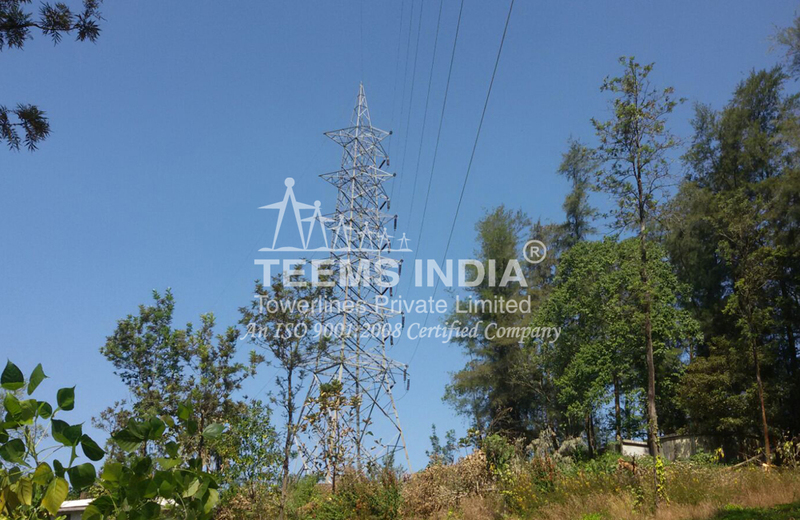 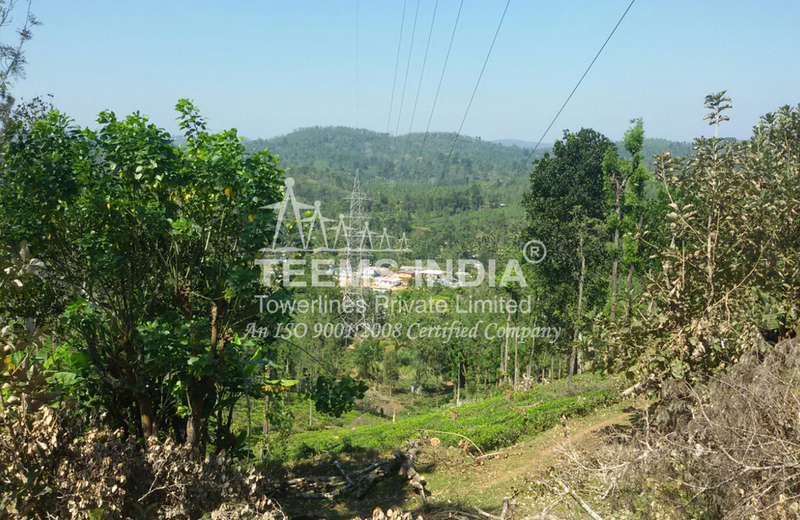 Manufacture, supply, Erection and stringing of 400 KV SC line with TWIN Moose Conductor by introducing 1 No. 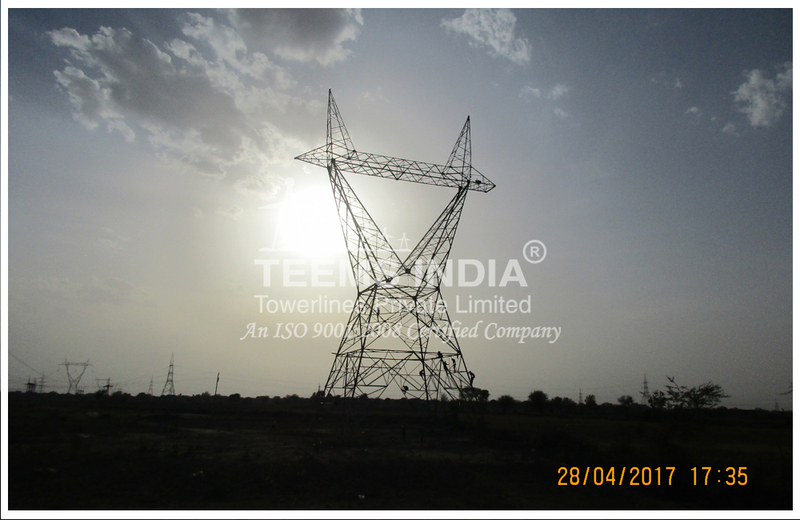 DD type tower in between NCTPS – Sunguvachatiram 400 KV DC line inside the premises of Sunguvachatiram 400 KV Substation.